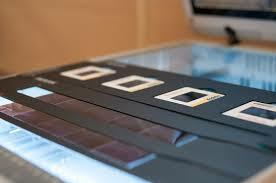 Now, digitizing your 35 mm slides is a snap! Trukmann's can scan your slides and digitally convert them to high quality digital files. Our secure, US-based facility provides the safest, easiest service available, and we never ship your photos overseas. You can count on us for fast turnaround, optimized handling and simple flat-rate pricing.